Delaware City Council passed a resolution Monday asking the Delaware County Agricultural Society Board of Directors to consider requiring background checks for all private gun sales at the Delaware County Fairgrounds on Pennsylvania Avenue. Delaware City Council approved a resolution on Monday requesting the Delaware County Agricultural Society begin requiring background checks for any private gun sale made at the fairgrounds. The resolution passed by a vote of 5-1, with Councilman Kyle Rohrer abstaining from the vote. The resolution is directed toward the popular flea market that is held on Sundays at the fairgrounds, where private gun sales are common. The flea market opened for the first time this year on April 1. After the reading of the resolution, Mayor Carolyn Kay Riggle became emotional as she opened the discussion. She shared a story of a group of Delaware Hayes students she met with who implored her to do whatever she was capable of to help fight against the mass shooting epidemic. Two Hayes students were on hand to share impactful and thought-provoking stories of both personal accounts and of a victim from the Stoneman Douglas tragedy in Parkland, Florida, in February. Police Chief Bruce Pijanowski, reading from a memo he wrote, addressed council to provide a more resolute picture of what the resolution is and isn’t aimed toward. The paradox of the resolution and its wording lies in the inability of someone without a Federal Firearms License (FFL) to access the system to conduct a background check, specifically on the National Instant Criminal Background Check System (NICS), which is typically the system used by licensed dealers. 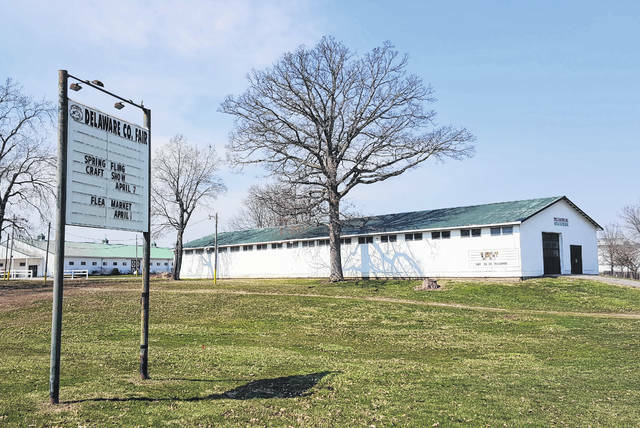 Most, if not all, sellers at the fairgrounds would not be able to conduct a background check from their vending booths, something Pijanowski confirmed and expanded on when questioned by Rohrer. “(The resolution) would essentially ask the fair board to say no private sales at organized events,” Pijanowski said. Rohrer lobbied, to no avail, to send the resolution to a public hearing that would include the Delaware County Agricultural Society Board of Directors and anyone else who might want to weigh in on the topic before it was voted on. City Manager Tom Homan took it a step further, recommending that if the resolution weren’t voted on that night, additional steps should be added to expand council’s range of involvement. Delaware is the most recent city to get involved in gun regulations of some sort. A Powell City Council member proposed a resolution last week to urge the Ohio General Assembly to ban assault rifles in the state. That resolution was met with strong opposition from the other council members and was not seconded and sent to a vote. Ultimately, the resolution voted on by Delaware city officials on Monday is simply an urging by council for the Delaware County Agricultural Society to act. The Fair Board will meet at 7 p.m. on Tuesday, April 17 to discuss and vote on the recommendations of council.